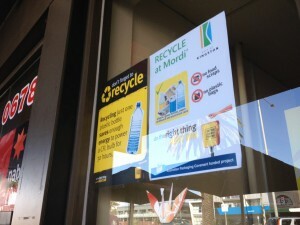 The Mordialloc shopping strip is a popular destination for local residents in the City of Kingston and a great site to role out Public Place Recycling (PPR). In 2012, EnviroCom assisted Kingston City Council, in gaining funding from the Australian Packaging Covenant (APC), to implement a PPR in Mordialloc. Local retailers also wrote letters of support. 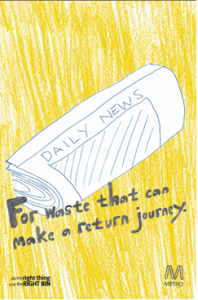 Prior to installation of PPR, half of the garbage stream by mass and over 90% by volume was recyclable materials It was estimated that 36 tonnes per annum were being lost to landfill. Pre audit of the 19 garbage bins along the Mordialloc shopping strip, followed by installation of the new infrastructure. Audit phase – Composition audit of the materials being presented to the PPR bins (11 pairs recycling and garbage bins in cages). Education phase – ‘Community & Trader Education Day’, held on a weekend to engage with shoppers and retailers. 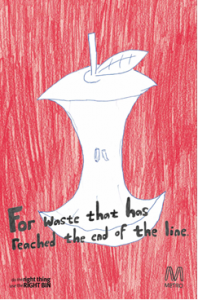 Sustainable behaviour change principles were implemented in the communication and education to reinforce the recycling away-from-home message. Articles were published in the local newspaper, and furthermore, social media (Facebook and Twitter) was utilised to engage Mordialloc shoppers and local residents. 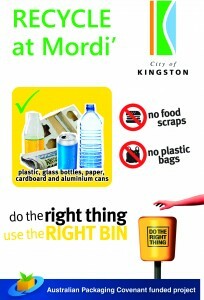 Promotional recycling posters were also provided to retailers who committed to spreading the recycling message to customers. Final report is available on the APC website . It includes, a Toolkit with an easy “how-to” guide for similar projects in shopping strips. The Toolkit includes a ‘PPR project checklist’ and examples of media releases, posters and education day surveys. EnviroCom undertook an assessment of the composition of the Public Place Recycling (PPR) stream generated through identified waste diversion points in public areas on the Sunshine Coast. The audit determined (by mass) the composition of materials to Australian Waste Database Categories and reported the composition, generation rate, contamination rate and other observed factors that influenced the effectiveness of the public area resource recovery program. 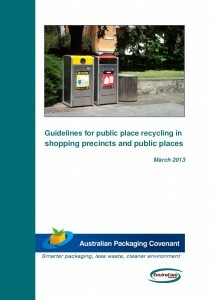 The audit report provided location maps for all bins collected and examined differences in data between locations, regions and the local environment (street bin versus park bin).